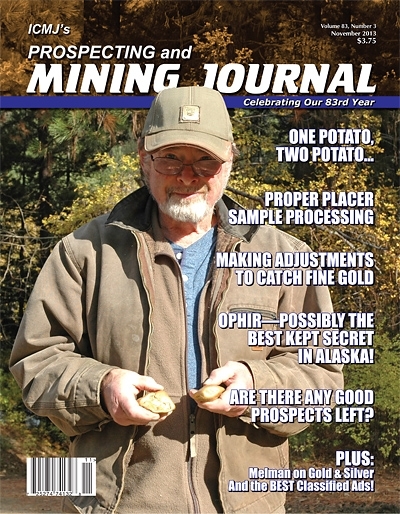 As featured in our November 2013 issue, several large nuggets were recovered at Mike Corbley's Potato Patch Mine near Liberty, Washington. A video camera was running and captured the events as they unfolded. Mike has since passed away. According to friends, he died peacefully at home on March 3, 2014, following a sustained battle with heart problems.